Hello and welcome back to our pool equipment selection series. We’ve already walked you through the process of sizing up the pump. The next step will be to select the type of filter that can handle the size of the pool and the pump. There are three filter types common on residential pools, and they are Sand, Cartridge, and DE. Each have their pros and cons; we will talk you through the basics of each type then we will dive into the finer points. 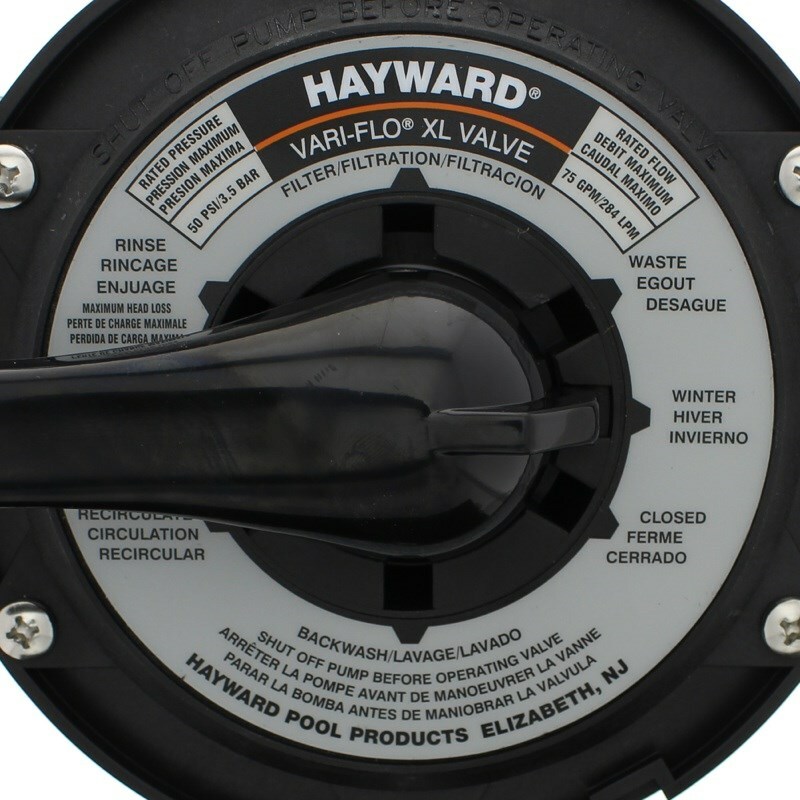 And again, don’t forget to check out part one of the pool equipment selection series in which we discuss how to select and properly size your inground pool pump. We’ll start with the most common, Sand filters. These are the most popular filter found in backyards today. They’re known for being the least expensive as well as being easy to maintain. A #20 silica sand is used as the filter media to sift your pool water clean. The Sand filter’s order of operation is pretty simple; the filter tank is filled halfway with sand allowing water to filter down through the sand, where it is then collected by an array of laterals. 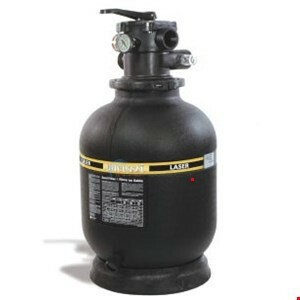 There are two types of sand filters; Top Mount and side mount. This is determined by where the valve is mounted to the tank. 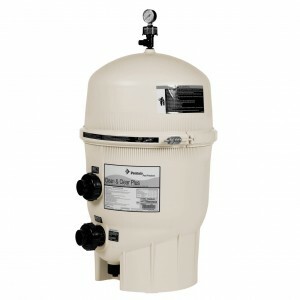 Top mount sand filters are usually cheaper than side mount, but the side mount is more convenient when it comes time to change the sand. The reason being is that on a top mount you have to disconnect the pipes to remove the valve. On a side mount filter, you don’t need to. However, a side mount will take up more space on an equipment pad. If space is limited, go with the top mount. Sand filters are the least efficient when filtering your water because they can only catch dirt particles 20-40 microns wide. If you’re a pool water aficionado, you will want to look to one of our other options like the Cartridge filter! The cartridge filter is quickly becoming the favorite for new installations because it takes up the least amount of space, it’s easy to clean, and it filters down to 10 microns; which is half the size of what a sand filter can catch. Cartridge filters are made in either single or quad style. The single cartridge has one filter element that can range from 25 to 200 square feet of filtering material. These types are great for small to medium sized pools, which have lighter bather loads. The quad or four cartridge filters are designed for medium to large pools that expect more debris. if you have a smallish pool but still plan on a few pool parties, consider getting the quad cartridge because the higher square footage will permit you to go longer between cleanings without sacrificing water clarity. Speaking of water clarity, last but not least we have the DE or Diatomaceous Earth filters which are the Cadillac of pool filters, as they can catch particles as small as 1-3 microns. These filters use DE powder which is fossilized shell of diatoms, a type of ancient algae….. I guess algae is kind of good for your pool in some ways. The DE powder is introduced to the filter by pouring it into your skimmer. The powder then coats the fabric covered grids and as water passes through, VOILA, no more dirt. That covers the three different types of filter. To prevent excessive cleaning, we suggest sizing your filter properly or better yet, oversizing your filter. The two factors you’ll want to consider are designed flow rate and turnover capability. In our pump example, we used a pool that was 23,000 gallons. To accomplish the 8-hour turnover rate, the pump must push 48 GPM. Using those numbers, we need a filter with a designed flow rate over 48 GPM and a turnover capability greater than 23,000 gallons. Remember, When you oversize a filter, you are helping yourself in two ways, one you can go longer between cleanings, and two you put less stress on your filter and your pump, giving them both a longer lifespan. And before we close out filters we should touch on the two types of filters valves used on Sand and DE filters: Slide and Multiport. The Filter setting is the normal cleaning cycle of your pool water. Backwash is the cleaning cycle for the filter; it works by reversing the flow of water through the tank. Then we have Recirculate which allows you to run your pump to circulate the water while bypassing your filter media. You would use this setting if you were adding a chemical that required the filter to be bypassed or… let’s say there was a crack in the filter, you could place the filter in Recirculate and keep the water moving. And Closed is used when you want to stop all flow of water past the pump, For example if you need to service something down the line like a chlorinator or a heater. And this slender guy is the slide valve. Slide valves are designed for side mount filters. They only have two positions; filter and backwash. Slide valves are mainly used on equipment pads with restricted space or if the pool owner prefers a simple set up. Hi I am looking for a recommendation for an inground cartridge filter. I know this may seem absurd, but I wish to use it on my 6000 gallon fishpond on an occasional basis. You all have been amazing in advising me and selling me a cell for my salt system for the real pool. The advice was fantastic, the new cell works better than the original and I have a pristine salt water pool BUT this inquiry is to purchase an inground cartridge filter 110v for pond use. Any ideas? For prolonged cartridge life, look into replacing the standard cartridges with Microban, antimicrobial material. The Microban should help prevent the cartridges from breaking down under extra strain. 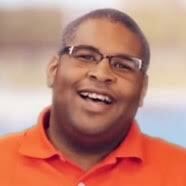 Again, this is pool guy’s best guess, you may want to visit aquarium forum to get the real scoop.